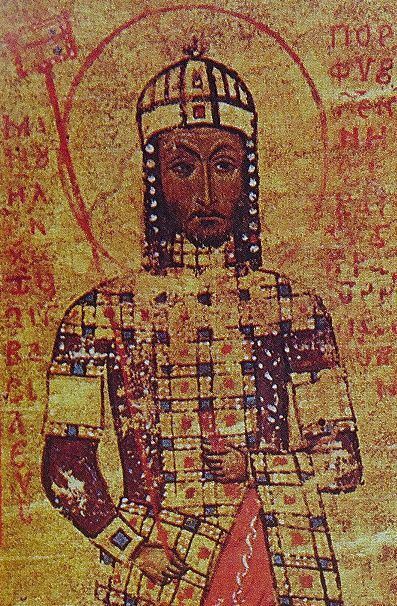 Manuel I was Byzantine Emperor from 1143 to 1180, and reigned over a crucial turning point in the history of Byzantium and the Mediterranean. His reign saw the last flowering of the Komnenian restoration, during which the Byzantine Empire had seen a resurgence of its military and economic power, and had enjoyed a cultural revival. Eager to restore his empire to its past glories as the superpower of the Mediterranean world, Manuel pursued an energetic and ambitious foreign policy. In the process he made alliances with the Pope and the resurgent West. He invaded the Norman Kingdom of Sicily, although unsuccessfully, being the last Eastern Roman Emperor to attempt reconquests in the western Mediterranean. The passage of the potentially dangerous Second Crusade was adroitly managed through his empire. Manuel established a Byzantine protectorate over the Crusader states of Outremer. Facing Muslim advances in the Holy Land, he made common cause with the Kingdom of Jerusalem and participated in a combined invasion of Fatimid Egypt. Continuous warfare had a serious effect upon Manuel's vitality; he declined in health and in 1180 succumbed to a slow fever.